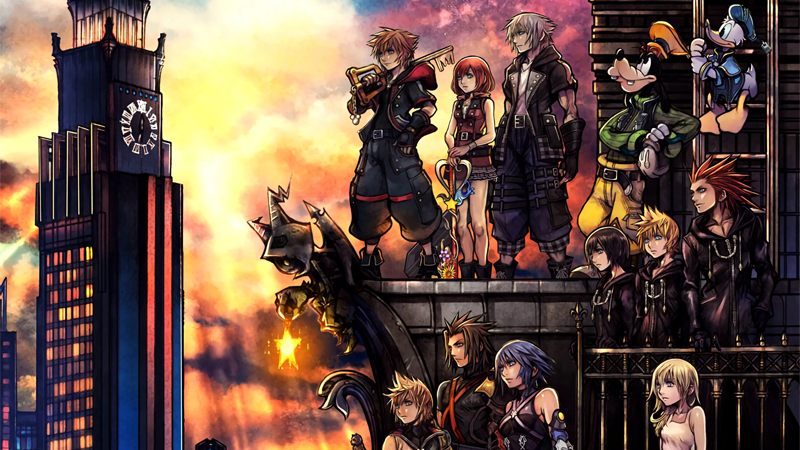 At the end of the month—outside of any potential, agonising last-minute delay—one of the most anticipated moments for games in 2019 is going to happen: After years and years of waiting, Kingdom Hearts 3 will finally come out. Are you a Disney fan who’s wildly confused as to what the deal is? We’re here to...let’s say help. Yo, that Mickey Mouse has a sword. A keyblade! It’s like a sword, but...also a key, that can unlock the heart of a world. And there’s a whole bunch of them in the world(s!) of the video game series, Kingdom Hearts. Sure, fine. So why does Mickey Mouse have a sword? Because he’s King Mickey. Well, more specifically, Mickey is a Keyblade Master, the best of the best when it comes to Keyblade wielders. He uses it to travel the myriad worlds of Kingdom Hearts, fighting back the darkness alongside his friends. You’re going to have to rewind here. Like, a lot. Why is Mickey Mouse fighting the darkness alongside a bunch of anime-looking people? So...back in 2002, Square Enix—the people who make the Final Fantasy series—launched Kingdom Hearts, an action-RPG collaboration with Disney that blended new characters, Final Fantasy characters, and Disney characters into an original crossover story. The games primarily follow the exploits of a young boy named Sora, who finds himself suddenly in the possession of his own Keyblade and whisked away from his island home (shared with his two best friends, Riku and Kairi), tasked with fighting back a sinister darkness—an army born out of the ephemeral darkness buried within all living things, given form by shadowy-creatures called the Heartless—and finding his lost friends along the way. Where does the Disney stuff come in then? This all sounds very...not Disney. Well, for starters, aside from the whole King Mickey thing I mentioned previously, early on Sora meets Donald Duck and Goofy, who are initially on the hunt for the missing Mickey. This trio is basically the main party of the game, and for the most part, the primary protagonists of the series...at first. We’ll get to that. This isn’t your usual Donald and Goofy though. In the game, they’re part of Mickey’s royal court: Donald is the Royal Magician, so he becomes the spellcaster of your party (he’s pretty much a Final Fantasy Black Mage, throwing elemental spells out and what have you), while Goofy is actually the captain of Mickey’s Royal Knights, and acts as the party’s main “tank,” drawing attention and soaking up damage. Okay, cool. So the Disney thing in Kingdom Hearts is just that Mickey, Donald, and Goofy are in it? No, there’s more! 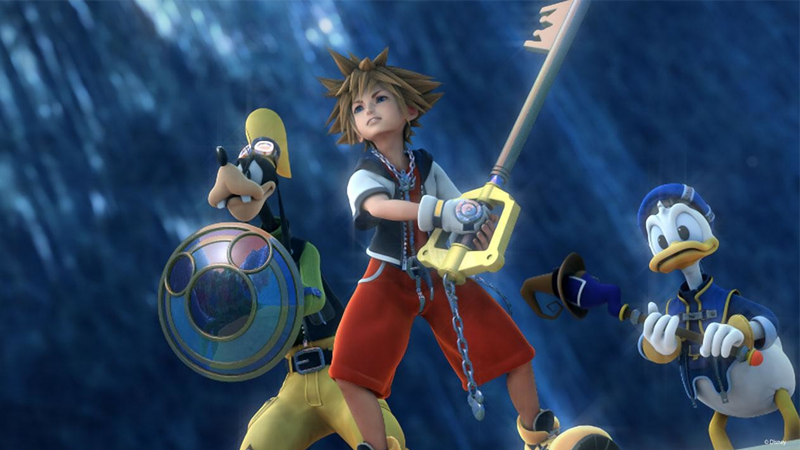 Kingdom Hearts follow Sora’s quest across a variety of worlds in its own universe, and those worlds are primarily the lands of various classic Disney properties. The first game alone, aside from a few original locations, has worlds based on the likes of Aladdin, Alice in Wonderland, Winnie the Pooh, Hercules, The Nightmare Before Christmas, and more, and they’re all filled with familiar characters, loosely tied into the stories of their respective films. That’s a trend which has continued over the series—the second game added locales based on Tron, Pirates of the Caribbean, Beauty and the Beast, The Lion King, and more, while the upcoming third game has added worlds from the likes of Tangled, Frozen, Toy Story, Monsters Inc., and Big Hero Six. And some of the original voice actors from the films are actually reprising their roles! Neat! So it’s a Final Fantasy game that just happens to take place in a bunch of Disney movies, with some original characters? Not really—while a few Final Fantasy favourites like VII’s Cloud and Aerith or VIII’s Squall (who goes by “Leon” in the Kingdom Hearts universe, taken from his last name Leonheart) do show up, they’ve gotten less important to the overall story Kingdom Hearts is trying to tell at this point. In fact, so has Disney, in some ways. 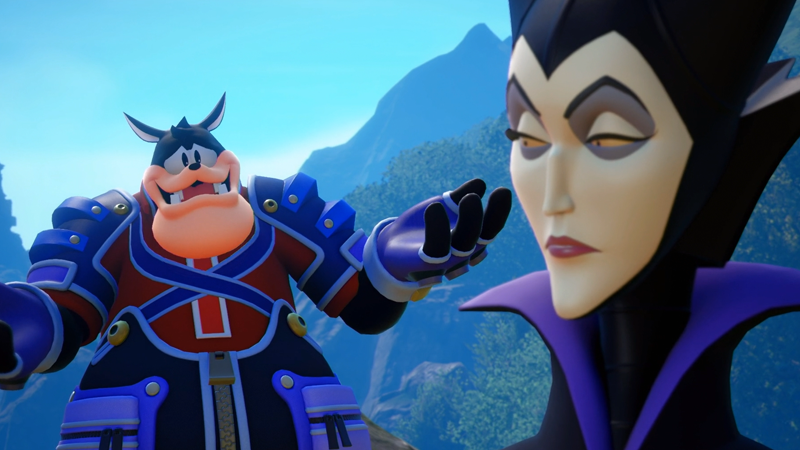 The first game has all the stuff about the Darkness and Keyblade masters and an original villain that would come to drive the grand overarching story of Kingdom Hearts, but it was mostly framed around a plot that various Disney Princesses—(Princesses of Heart) were being kidnapped by agents of the Darkness (the Heartless) for nefarious purposes. And a whole bunch of Disney villains like Maleficent, Hades, and Jafar were in on it. At first, before the real threats were revealed, Maleficent was pretty much the villain of the first game. But since then, Kingdom Hearts has become much more of its own thing, focusing on the original characters and story, while the Disney and Final Fantasy elements have become more like set dressing. They’re still there, they’re just not as much of the focus. The appeal is still getting to visit all these Disney worlds and characters, but the story is driven by a vast cast of new villains and allies that have been fleshed out and looped into the wider story over the last 17 years. You’ve danced around that “wider story” stuff a lot. What do I need to know if I want to get on board? The reason for that is a) there’s a lot of it and b) Kingdom Hearts has a bit of an infamous reputation for having a terribly incomprehensible and impenetrable story for people outside of its most die-hard fans. That’s not really true, because at its core, it’s an age-old saga about the balance between light and dark, and saving worlds from being consumed by evil forces. This might “only” be Kingdom Hearts 3, but there’s actually a lot more to it than that, as you’ll learn later. But it’s also sorta true, because it’s a basic story told in the most convoluted manner possible. There are clones as well as characters who just happen to look like each other for reasons that are often just to obfuscate or confuse you while you try to figure out the twists and turns of the narrative. There are people taking over each other’s bodies. There’s a whole bunch of amnesia. There’s this whole thing where people without a heart are split into their normal and “nobody” self, with the latter being their own sentient being with weird mixed up versions of their “original” names. There are stories spanning huge periods of time covering ancient wars and mysterious prophecies. 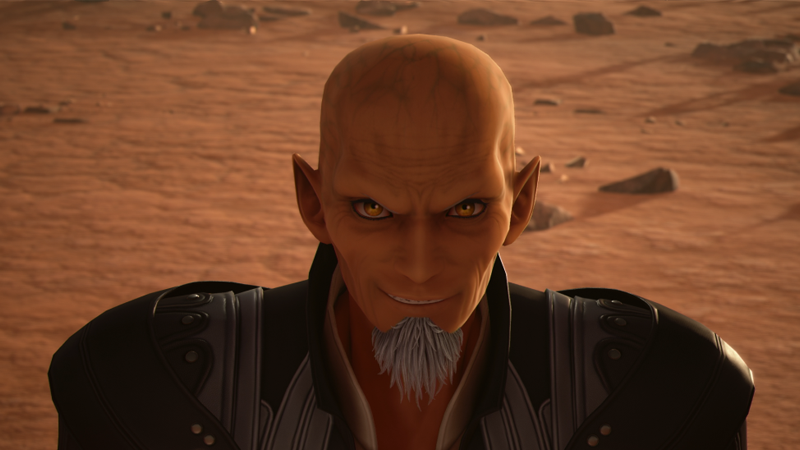 The primary villain, Xehanort, has had multiple incarnations under different names over the years. And there’s time travel! It can get pretty wild, and if you’re intrigued because of the Disney aspect it can definitely be daunting at first. It’s why fans have dedicated themselves to trying to parcel out every clue and mystery they can from trailers and from the other games for years while they’ve waited for Kingdom Hearts 3. 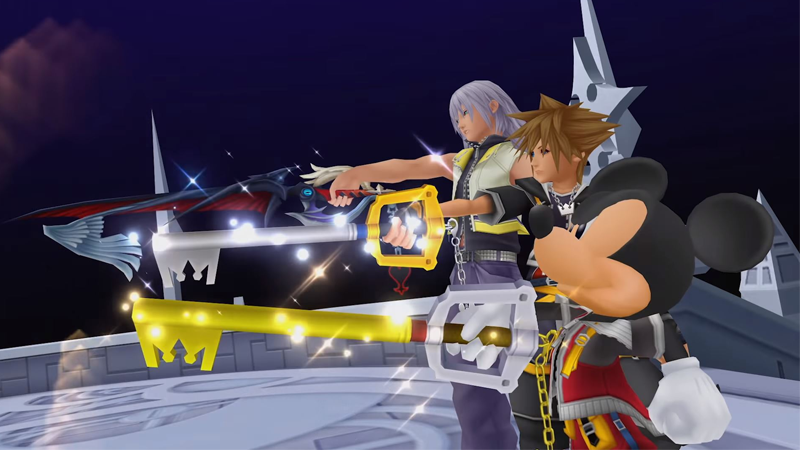 The new game is meant to act as a conclusion to the current chapter of the saga—the story of Xehanort’s long plans to re-forge the original, all-powerful Keyblade called the χ-blade—which I swear to god is pronounced as “Key-blade,” just to confuse you even more—and use it to access the fabled Kingdom Hearts itself: the mythical realm meant to be the home of the gathered light of every world in the universe and a source of vast wisdom and power. Okay, so this third game is out at the end of the month. All I have to do is play one and two to get caught up, right? No. Because while this might just be the game that happens to be called Kingdom Hearts 3, it’s been over a decade since Kingdom Hearts 2 came out. In the time since, a total of seven other games—with some of weirdest titles in video games—covering the backstory and fleshing out the ongoing lore of this entire saga, have been released. And despite not being numbered “main” parts of the story, they are absolutely vital parts of it. So don’t think of Kingdom Hearts 3 as the Return of the Jedi of its trilogy, but really more like...the Star Wars: Episode IX of an entire saga. Oh, and now that I’ve made that mention, no, there aren’t any Marvel or Star Wars worlds or characters in Kingdom Hearts, despite them being Disney-owned at this point. Sorry. There’s some good news though! If you’re trying to get on board now, it used to be way harder to play all these games—they were spread across multiple platforms, from home console to handheld to even mobile phones, and across different companies. There are hundreds of hours of game to work through—by the time Kingdom Hearts 3 is out, you will be nowhere near ready if you start now. These days, there’s actually a set of collections—with the utterly atrocious names, Kingdom Hearts HD 1.5 + 2.5 Remix and Kingdom Hearts HD 2.8 Final Chapter Prologue—that bundled and remastered the games, turned some of them into extended “movie” collections of cutscenes, and made pretty much every game in the series accessible on one platform. Specifically, it’s the PS4. These collections aren’t available on the Xbox One, despite the fact it’s getting Kingdom Hearts 3. It wouldn’t be Kingdom Hearts without some incomprehensibly baffling decisions! Can I...just jump on board with Kingdom Hearts 3 then? I mean, you could try. In fact, Square-Enix is really hoping you do—Kingdom Hearts 3 will actually come with a 20 minute long series of recap videos that are designed to get new players caught up on the basics of what they need to know. You can watch them online now in Japanese (with English subtitles), if you want to do it in advance. Suffice to say though, 20 minutes can’t possibly cover everything you need to know—but fans have been so excited for this game for so long that there are actually plenty of other in-depth video recaps for the entire saga that can help flesh things out. (Here are a few to get you started, and a few years ago our sister site Kotaku wrote its own guide to the story!) But even then, those won’t fully prepare you for every twist and turn Kingdom Hearts 3 might have either, at least compared to actually playing the entire series yourself. Just know that if you’re going to jump in with this grand conclusion of a nearly 20-year saga to join the conversation and see what it’s all about, you’re bound to miss a few things. Google, and maybe a friend who’s already been through this, will be helpful! Even if you’re just coming for the Disney stuff, it’s amazing to see these beloved worlds rendered in modern gaming graphics. As weird and obtuse as Kingdom Hearts has gotten, that’s still a big joy for many fans, so there’ll be fun to have even as you try to puzzle together the story. Okay. Got it. One last thing though: What actually are the Kingdom Hearts? God. So, a bunch of things? 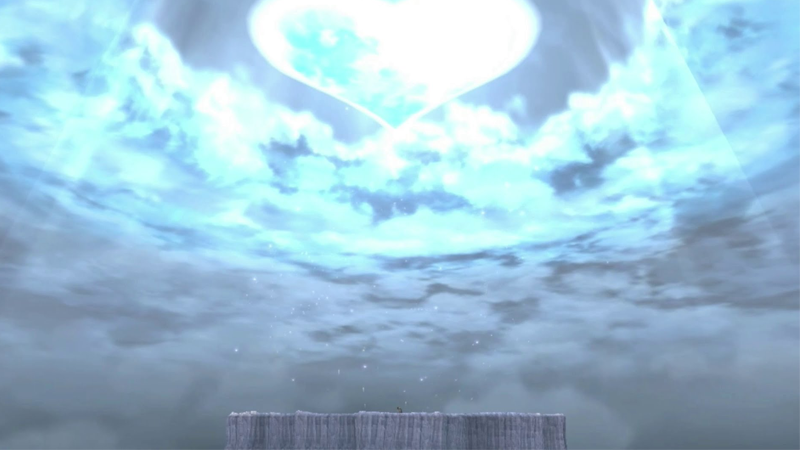 Everything has a heart in Kingdom Hearts—the light of the inner self, from the smallest sentient being to the actual worlds of the universe. And then there’s the Kingdom Hearts, as in a singular entity that just happens to sound like a plural one because, well, who would want to make this easy on you? It’s the name of the series, duh. The true Kingdom Hearts is a fabled realm made out of the gathered hearts of every world in the Kingdom Hearts universe, that will grant you untold wisdom and power if you access it (which is what Xehanort and a bunch of other characters in the series have been trying to do). The only true way to access it is with the χ-blade, which was shattered into 20 fragments of light and dark in a war called, unsurprisingly, the Keyblade War. There’s also the fake Kingdom Hearts, because of course there is. Remember how I said there’s a whole bunch of people called “Nobodies,” who are created when a person’s heart is split from them? A group of them called Organization XIII try to gather the hearts of people from all over the universe in an attempt to forge them together as their own facsimile of the true Kingdom Hearts that would grant them hearts to live as full individuals. That’s not confusing at all. Sure isn’t. Welcome to Kingdom Hearts! 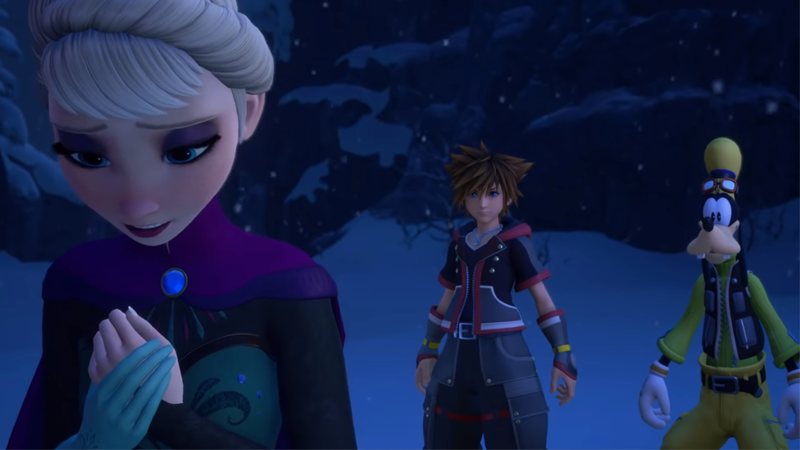 The long wait to see how it all comes together ends when Kingdom Hearts 3 is released on 29 January.